On the Top 10 Show today, they do a Christmas theme, which I figured they would, but I was not sure what the topic would be. I was hoping it would not be just Best Christmas movies. However, the pair came up with a clever idea (thanks to a patreon) in Top 10 Christmas Movie Villains. Of course, as soon as I heard this idea, I thought, “How many villains could there possibly be?” One popped in my head immediately, but I wondered who else could there be. Then I did some research and I found 13 that worked for me. I was shocked and so it was considerably easier than I thought it would be. Mr. Potter does not make my list because I have never actually seen It’s A Wonderful Life all the way through. I have seen parts of it, but I have never sat down and watched the whole thing. I thought about throwing him on the list at #10, but I decided against that. #10. Stripe (Gremlins). It has been a long time since I have seen the Gremlins, but the Top 10 brought this up on their show and I agree. Gremlins was a film that was ahead of its time and Stripe was scary. #9. Krampus (Krampus) The myth of Krampus was from Alpine folklore providing a creature that was basically an anti-Santa. Krampus was a horned beast who punished naughty children at Christmastime. No word if he checked his list twice. Krampus has been picking up steam over the last several years and the character could become even greater down the road. #8. Willie (Bad Santa). Billy Bob Thornton was such a jerk as the titular role in this movie. 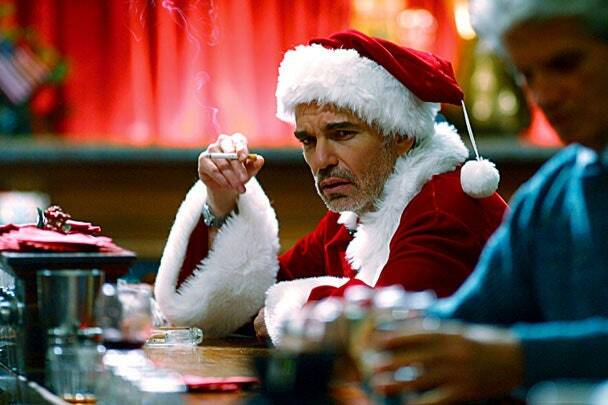 Bad Santa smoked, drank, screwed around, and showed off his poor attitude throughout the movie. And, he really did not change his ways…at least not too much. The second movie was not as great, but there is no doubt that Billy Bob knows how to play an a-hole. #7. Harry & Marv, the Wet Bandits (Home Alone). It is amazing that Harry and Marv, played by Joe Pesci and Daniel Stern, were able to survive the Home Alone movies because that kid did things to these villains that should have killed them multiple times. The cartoon aspect of these two (aka Wile E Coyote) dropped them down the list a little but they are iconic. #6. The Duke Brothers (Trading Places). How can you ruin the life of a man over a bet for $1? Mortimer and Randolph Duke can do it. Played by Don Ameche and Ralph Bellamy, the Dukes are the epitome of rich, pretentious jerks. They went out of their way to ruin Louis Winthorpe’s life by framing him as a drug dealer and replacing him with Billy Ray Valentine for no other reason than a social experiment. The fact that they get their comeuppance at the end is great, and we get them in cameo appearances in several other movies such as Coming to America. #5. Frank Cross (Scrooged). I thought about not including him because he was basically Scrooge, but he has a different name, and so is a different character. 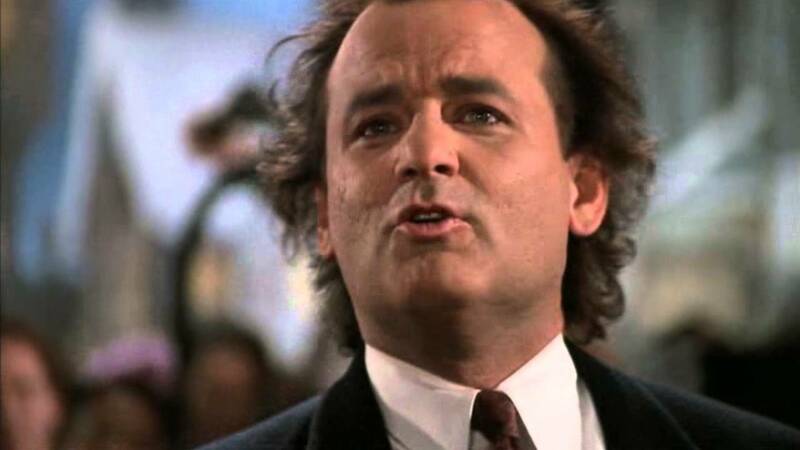 Bill Murray is absolutely epic as Frank in Scrooged. I hadn’t seen this film for years and when I finally sat down to watch it, I loved every second of it. Frank is really a bad dude as this film starts and his redemption is the thing of many Christmas villains. #4. Oogie Boogie (The Nightmare Before Christmas). I just recently watched this movie and this character was one of my favorites. Oogie Boogie tried to eat Santa Claus! 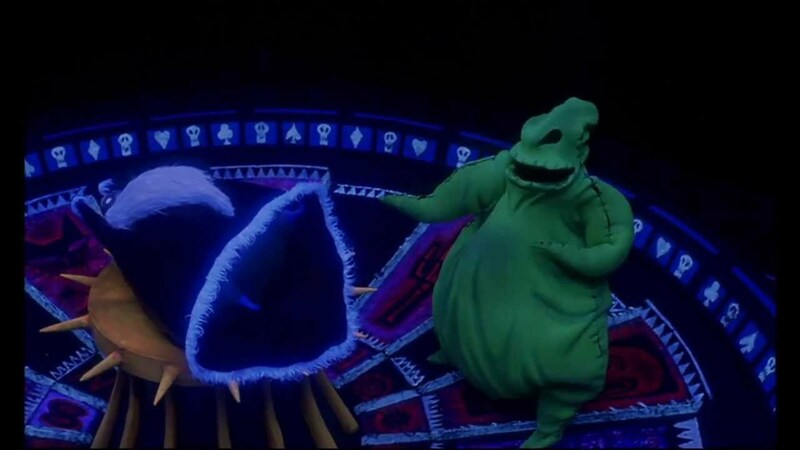 A cool character design, Oogie Boogie gave plenty of children nightmares, I am sure. A representation of the classic Boogeyman, Oogie Boogie is a burlap sack filled with insects and a snake for a tongue. I saw him and I thought about Thrakkazog from the animated The Tick TV show. #3. The Grinch (How the Grinch Stole Christmas). This is the animated TV version, though I did consider the Benedict Cumberbatch version (not Jim Carrey!). The classic Boris Karloff was the narrator/the Grinch in this cartoon that has never been surpassed in all the efforts to try to create a film from the Dr. Seuss character. You’re a Mean One, Mr. Grinch. #2. Hans Gruber (Die Hard). I considered putting Hans at number one because I think he is one of the greatest movie villains of all-time, but I placed him at number two because I think there is a more iconic Christmas movie villain than Hans. 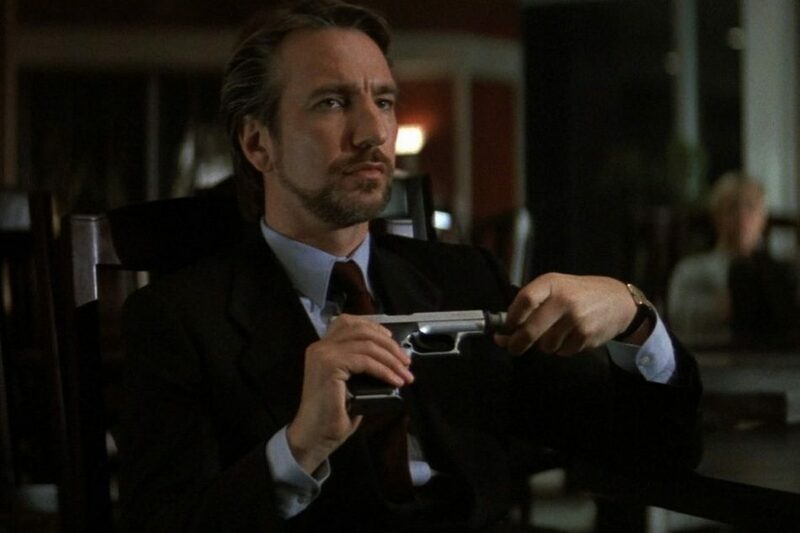 Alan Rickman’s first movie role solidified him as an amazing actor and helped make Die Hard such a perfect action film. Had there been another actor cast as Hans Gruber, there just would not be the same feel or the same love of this movie. Smart, classy, and brutal, Hans was willing to do whatever he had to for what he wanted, and despite his gentleman-like ways, Hans was a monster in his own right. #1. Ebenezer Scrooge (Muppet Christmas Carol). Scrooge was the first name that popped in my head and Micheal Caine’s version in the Muppet Christmas Carol is my favorite version of the movie. I mean, sure there are more serious version with actors such as George C. Scott, Patrick Stewart, Alastair Sim, Jim Carrey, Christopher Plummer etc. but I think Caine captures the intricacies of the old miser in a way that none of the others accomplished. And he sang songs with mice. I watch this movie every Christmas and it never fails to bring a tear to my eye. When Caine delivers the line, “Not Tiny Tim” you can feel his own heartbreak at the situation. He does the best job of showing Scrooge’s transformation across the entire film. One of my criticisms of some of the versions is that Scrooge does not show his change until the graveyard scene at the end, but Michael Caine starts showing his changing philosophy immediately. Love this version.